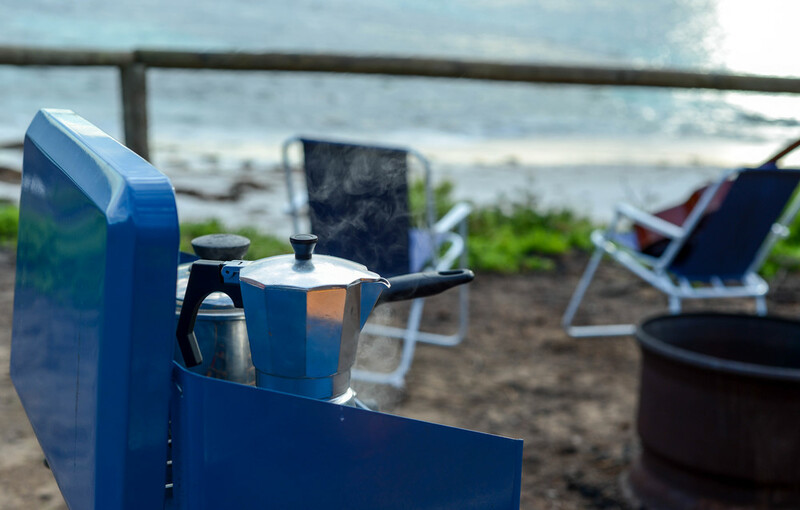 We arrived at Cape Richie campground in Western Australia late at night, in pitch black mystery with no idea what was around us. It is fun falling asleep in surroundings that you don't know anything about. Were we on the water? Were we near endless land to roam? Or were we in for a rude shock that would send us on our way asap. Sure we could look at our map to find out exactly what surrounded us but that's no fun. If we arrive somewhere at night, we love to wake up and go exploring, make an adventure out of our day. The amount of times we have stumbled onto something amazing... this was no exception. We had parked near the entry when we arrived, so when we woke up at dawn we drove around the camp ground to see if there was a better spot for breakfast and found something beautiful... the sun rising over the ocean. We had our favourite breakfast, apple, banana, nuts, dried berries, peaches and LSA mixed with porridge. YUM! Then we set off around the coast line to discover a little more about Cape Richie. Just around the corner was an old farmers hut, which had been home to someone long ago. We ventured a little further, through beautiful rocky outcrops and rolling green hills filled with kangaroos. Then we found the perfect place for our morning swim, a secluded beach with some of the whitest, softest sand we have seen yet. It is amazing to be in the ocean looking back at such beautiful land, and no one to be seen. What an experience, what a rewarding day.